This Black Rock Collective Playing Cards Vol. 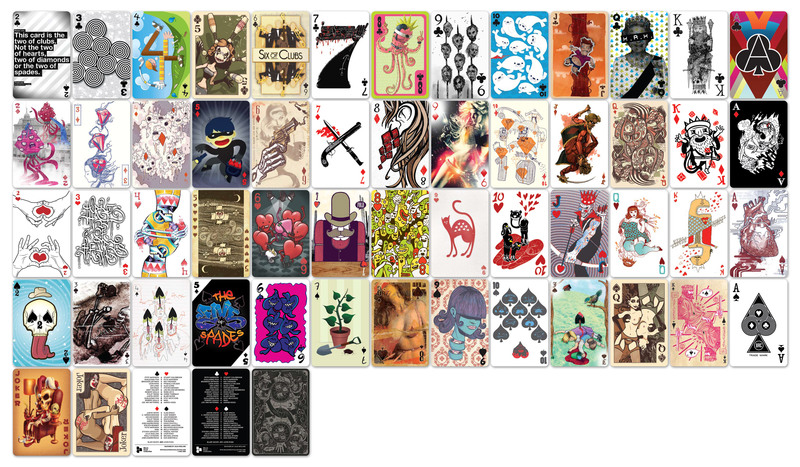 1 deck was lovingly created by 36 artists of the Black Rock Collective. “A rather crass yet brilliant Australian member had the idea of doing a card deck – a perfect medium to utilise the BRC’s mish mash of styles and techniques. One of the New Zealand members ran with this idea (such is the way down there in the Antipodes) and ‘by crikey’, here it is.